The gorgeous Rakul Preet is arguably one of the most popular and talented actresses in Southern cinema today. A talented performer, she has over the years found firm footing in the industry thanks to her good looks and sincere performances. Moreover, she has won the hearts of fans thanks to her simple nature, graceful personality and mast attitude. Now, she is in the limelight for a wonderful reason. As it so happens, noted stylist Nerajaa Kona took to Twitter and shared some terrific photos of the star. In them, she can be seen in an elegant new avatar that she carries off like a boss. Her subdued smile gels well with the look and ups its recall value in a big way. Her confident yet relaxed body language too works wonders for the look and adds new life to it. That’s how you make an impact! On the professional side of things, 2017 was a year of mixed fortunes for Rakul. In September, she received some bad news when Spyder bombed at the box office and failed to impress critics. 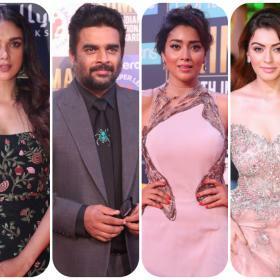 Thereafter, she got her career back on track when Theeran Adhigaram Ondru opened to a good response at the box office and received rave reviews along the way. She was last seen in the spy-thriller Aiyaary. Directed by Neeraj Pandey, it also had Sidharth Malhotra in the lead and opened to an okay response at the box office. Sometime ago, she had said that she took up the film as it is a Neeraj Pandey directorial. She had also said that she does not view it as a Bollywood comeback as South cinema will always be her top priority. 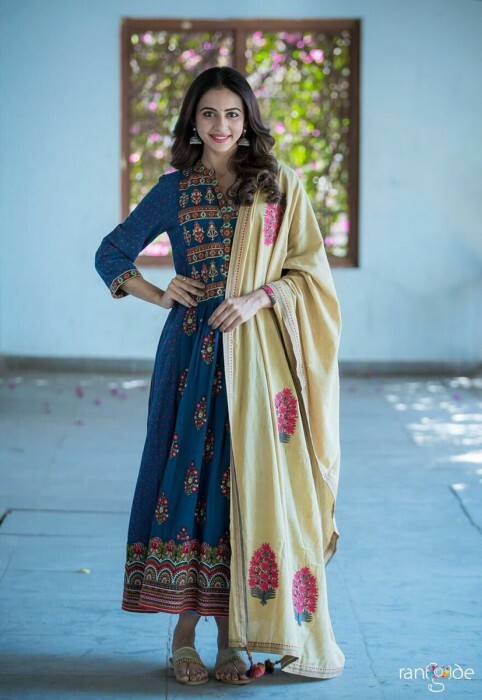 So, did you like these pics of Rakul? Comments, please!